But the Saudi monarch, almost 83 years old, has shown no signs of lessening his son’s near-total control over the kingdom. The cabinet shake-up on Thursday was no exception, as many of those promoted were close associates of Prince Mohammed. New officials were named to lead the National Guard, the General Directorate of Public Security and the Information Ministry. King Salman also ordered the creation of a national space agency to be led by another of his sons, Prince Sultan bin Salman, who was the first Arab astronaut. 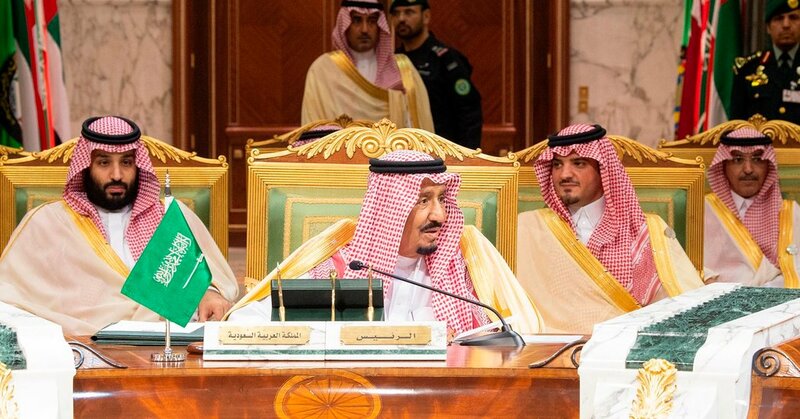 Among those moved in the series of royal decrees announced on Saudi state television was Adel al-Jubeir, who had become one of the best-known Saudi officials in the West in his posts as foreign minister and, previously, as ambassador to the United States. Mr. Jubeir was removed from the position of foreign minister but was named minister of state for foreign affairs. It was not immediately clear how his duties would change. Ibrahim al-Assaf, a former finance minister, was appointed foreign minister. It was not immediately clear why Mr. Jubeir’s role was changed. Despite coming from a nonroyal background, he had held some of the kingdom’s leading positions for maintaining its relationship with the United States, its most important ally. Mr. Jubeir, who earned a master’s degree in international relations from Georgetown University, has held a number of diplomatic posts. He rose to prominence by voicing the kingdom’s perspective to the West, including during the Persian Gulf War of 1990-91 and after the terrorist attacks of Sept. 11, 2001. Most of the perpetrators of those attacks were Saudis. He served as a translator for the previous monarch, King Abdullah, who named him ambassador to Washington. After King Salman ascended to the throne in 2015, he named Mr. Jubeir foreign minister, a job that many at the time did not expect him to hold for long because he was not a prince. Mr. Jubeir’s replacement, Mr. Assaf, is not as well known internationally. After serving as finance minister, he was locked in the Riyadh Ritz-Carlton last year with hundreds of princes, businessmen and officials in what the government called an anti-corruption campaign. After his release, he attended a cabinet meeting and then joined the Saudi delegation to the World Economic Forum meeting in Davos, Switzerland. Neither he nor the Saudi government has ever publicly explained why he was detained.